Well, this probably isn’t going to be what you were taught. Again, we have to look at the context of what is being said. According to Luke, this verse has to do with Gentile Converts and what was expected of them. (Acts 15:19-21). What was decided at this point was not what you think. Luke wasn’t saying that the Gentile’s didn’t have to follow Torah. 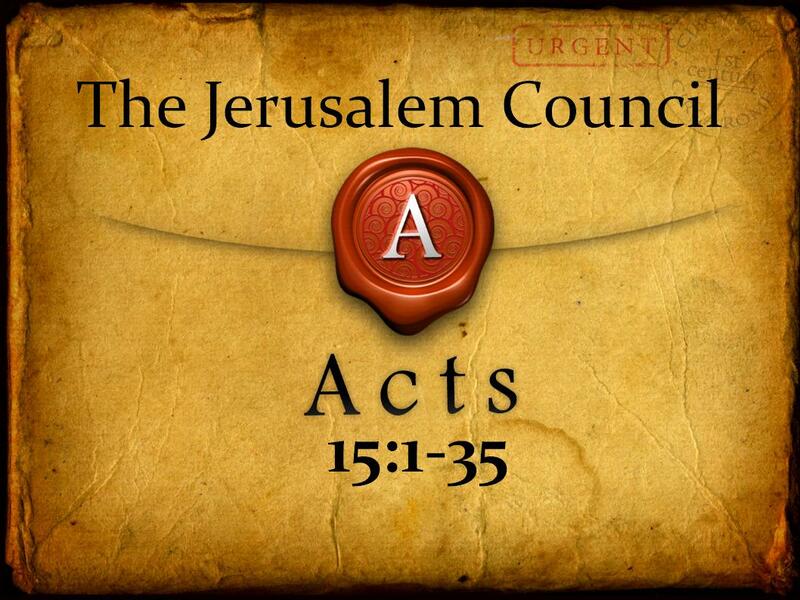 The Jerusalam Council decided that the Gentiles converts did not have to take on the full weight of the man-made laws of the Sages in order to be accepted within the Jewish community. He was saying that they were required to put down the very Pagan practices that were being performed that Yahweh hated. They were told they couldn’t continue on in those ways. We will post the whole verse for a reference point but keep in mind that even Yahweh didn’t command anyone to follow the man-made Law. The reason that was even talked about is because, during those times, the Jewish people where imposing their own man-made law onto Gentiles and Yahweh never said that should be done. Our own Messiah came to expose that man-made law so HIS Torah could be reestablished. We are often taught this verse to show that we, as Gentiles, aren’t required to follow HIS Torah. Well, we know this is not true. HIS Torah will set you free. Man’s law will imprison you. You might be saying, “What are you talking about”. Well, let’s look at the last part of that verse. It says: “For from the earliest times, Moshe has had in every city those who proclaim him, with his words being read in the synagogues every Shabbat.” This last part of that verse is our clue into what was being said. It is basically saying that Mosheh has had followers all throughout time that taught and still teach in the Synagogues every Sabbath. We are being shown that we shouldn’t worry that the Gentiles won’t become Torah observant because once they start coming to Temple they will learn HIS Torah and follow it’s commands. What is truly being said is to not completely turn away all the hopeful converts with a bunch of rules because they are so far from Yahweh they won’t even listen. 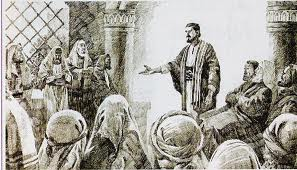 Luke was telling them to demand the Gentiles do a few basic things at first and then when they come to learn in the Temple, they will then learn the Torah and follow it as Yahweh and Yeshua commands. That is why it says that from the beginning of times, there are followers of Mosheh that TEACH in the Temple on Sabbath. Those followers were there to teach new converts and believers to follow Torah as we are commanded to do as shown here in Acts. And when the Gentiles heard this, they began rejoicing and glorifying the word of the Lord, and as many as were appointed to eternal life believed. And the word of the Lord was spreading throughout the whole region. But the Jews incited the devout women of high standing and the leading men of the city, stirred up persecution against Paul and Barnabas, and drove them out of their district. But they shook off the dust from their feet against them and went to Iconium. And the disciples were filled with joy and with the Holy Spirit . Notice that the new Converts were being taught the Torah on the Sabbath. Quick tidbit: We used the term Gentile a few times just so most can understand whom is being talked about. The word Gentile never appears in the Bible. (really, it doesn’t…Go GOOGLE it and see..crazy huh?) The word orginally used was from the Hebrew word Goy, or Goyim. This just means “other nation/nations that weren’t Israelites. Makes you wonder why most Christians say, “I am a Gentile, I don’t have to follow those Old Rules”…. EVERYONE is a Gentile unless you are a blood descendant and if you look around today, many practicing Jews no longer follow Yahweh’s Torah. The word Gentile/Gentiles comes from a Latin word which basically means “ONE WHO IS NOT A ROMAN CITIZEN.” It originally meant Family/Clan in Latin. It was an attempt to translate the word Goy or Goyim using their own language which in return loses it’s meaning when translated to English. If you use the word correctly, then you would have to say that Yeshua and His twelve disciples were all Gentiles, because none of them were a Roman Citizen. Ahhh…but Paul would not be a Gentile then because he was a Roman citizen… Whoooooops… Got off on a tangent again.